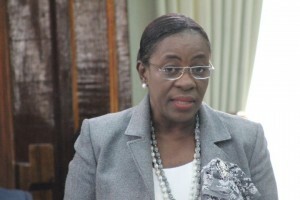 Junior Minister of Education, Nicolette Henry. 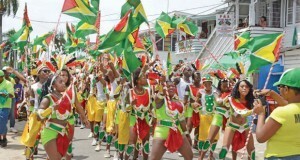 After the Ministry of Education announced a change in the route for the Jubilee Float parade on Monday – days before the actual event – there has been widespread concern about the issue including the fact that it is much shorter. The Ministry on Monday said the costume bands participating in the Jubilee Float Parade will now assemble at the Stabroek Square instead of Church Street. The Float Parade will then move from the Stabroek Square to East along Brickdam, then into D’urban Park. Asked the rationale for the decision at a press conference on Tuesday, Junior Education Minister Nicolette Henry said that the Stabroek Square would give those participating in the parade more space to assemble when compared to the Church Street starting point. She said that in the initial stages of the planning, the square was unavailable hence the decision was taken to assemble at the previous point. So far there have been 27 agencies that expressed interest in participating in the float parades while there will also be ten float parades consisting of children. The Minister was also asked about the implications for traffic since the Stabroek Park area is a central hub for public transportation in and out of the city. Henry responded that the Traffic Department of the Guyana Police Force has a plan which would see several roads being closed off on Thursday and they would be able to handle the traffic situation. The first float is expected to leave the Stabroek Square at 10:30AM.